Have you used Red Stag Fulfillment? Write a review and share your thoughts (you don't have to register first). Have you used Red Stag Fulfillment? Write a review here (you don't have to register first) or see all 8 reviews. 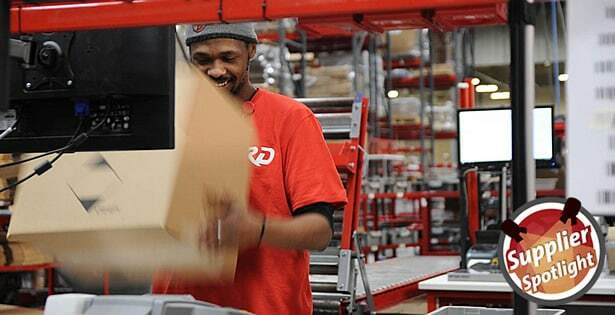 Ecommerce fulfillment provider Red Stag Fulfillment has been profiled on the Web Retailer blog. Ecommerce fulfillment provider Red Stag Fulfillment is now integrated with multichannel selling tool TradeGecko. TradeGecko users can send orders directly to Red Stag and view order tracking information in their TradeGecko dashboard. Users will need an account with app connector CartRover to link TradeGecko and Red Stag Fulfillment. Red Stag already integrates with multiple ecommerce sales platforms, including eBay, Magento, and Newegg. The addition of TradeGecko provides a new and powerful option to simplify ecommerce operations. Red Stag is experienced at working with multichannel sellers to make sure their order fulfillment operations run smoothly. TradeGecko helps sellers manage sales across multiple platforms, and track inventory across Shopify, WooCommerce, Amazon and Magento. TradeGecko also offers a wholesale sales platform and integrates with Xero and QuickBooks Online. Do you have news about Red Stag Fulfillment? Let us know. Red Stag Fulfillment is an ecommerce fulfillment company that was born when the owners of an ecommerce store spent years unable to find a high-quality fulfillment provider that cared as much about delivering value to customers as they did. When another 3PL nearly cause their ecommerce store to go out of business, the decision was made to attempt to build the fulfillment provider they could not find. The fulfillment operations of an ecommerce business are one of, if not the, single most critical artery supporting the lifeblood and overall health to the ecommerce company. Your fulfillment operation is charged with taking the value created by your web developers, marketing team, customer service support, and procurement strategy, and ensuring that all of the value is delivered to your customers every time an order is placed. Red Stag takes pride in serving as this value extension of your business. In the ever-evolving ecommerce arena, having a trusted partner that cares about delivering value and whose goal is to enable your business growth, is key to succeeding and growing your business. That's why we have no set-up fees, and offer a 30-day trial with no long-term contract, so that you can experience the difference and make the best possible decision for your unique ecommerce store.